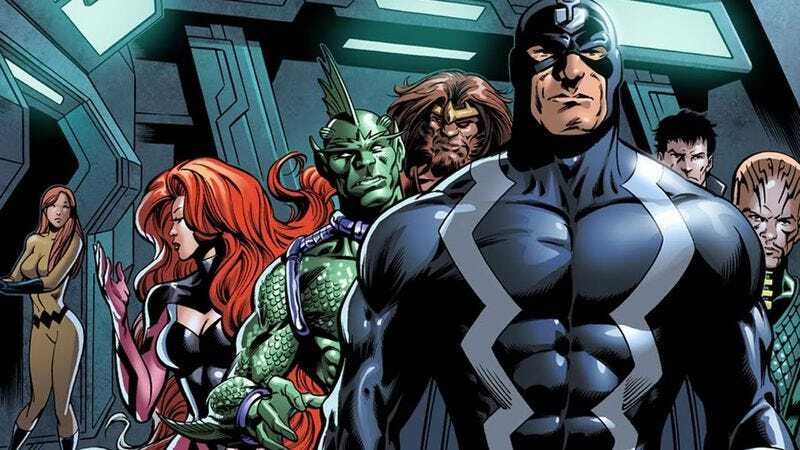 This fall, Marvel’s Inhumans will be coming to IMAX screens, followed by your TV set/laptop/phone/inevitable Apple wrist implant microchip. Earlier this month, we reported on details of the Hawaiian production facility where the series will be filmed, along with the working title, Project Next, seemingly designed to elicit the same level of excitement as updates to the federal tax code. But the real evidence that filming is nigh comes from a new casting call, meaning you could soon find yourself appearing on a Marvel superhero show—so long as you meet the extremely narrow criteria in the following description put out by the show’s production team. It’s not that unusual for sci-fi TV shows wanting extras that appear to be aliens to send out casting calls looking for very tall, short, buff, scrawny, and any other significant deviation from some network executive’s idea of “normative body type,” but it’s important to remember there’s an even more restrictive requirement to these already precise requirements. Specifically, you should probably be a resident of the Hawaiian island of Oahu, otherwise the 75 bucks (or whatever the going non-union extra rate is these days) won’t even cover your travel costs to the set. Although, if you’re a 6’7” identical twin bodybuilder of Indian descent with a hot pink mohawk who’s been considering a move to a more tropical climate, this might be the sign from God you’ve been waiting for.